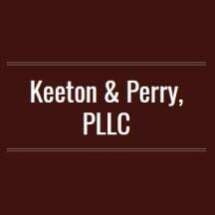 KEETON & PERRY, PLLC is a family owned and operated law firm located in Manchester, Tennessee serving all of Tennessee . Whether you are looking for advice on personal injury, family law, criminal defense, estate planning, insurance matters, or other legal representation, our Attorney's are available to assist you. Attorney's C. Brent Keeton and Greg B. Perry have focused on, building a reputation as a firm that cares and focuses on providing quality legal representation and excellent customer service while representing client interests. Our attorneys handle a wide variety of personal injury, family law, criminal defense, estate planning, insurance matters, and other legal representation matters. We stress listening to you, compassionately responding to your needs, and providing legal solutions tailored to those needs. We are committed to providing effective, straight-forward legal advice and representation. If you have been given a Bonnaroo citation or a Bonnaroo drug citation, we can help. Attorney C. Brent Keeton is admitted to practice in all Tennessee State and Federal courts, as well as before the U.S. Court of Appeals for the Sixth Circuit and the United States Supreme Court. Attorney Greg B. Perry is admitted to practice in all Tennessee State Courts and the U.S. District Court Middle & Eastern District of Tennessee.